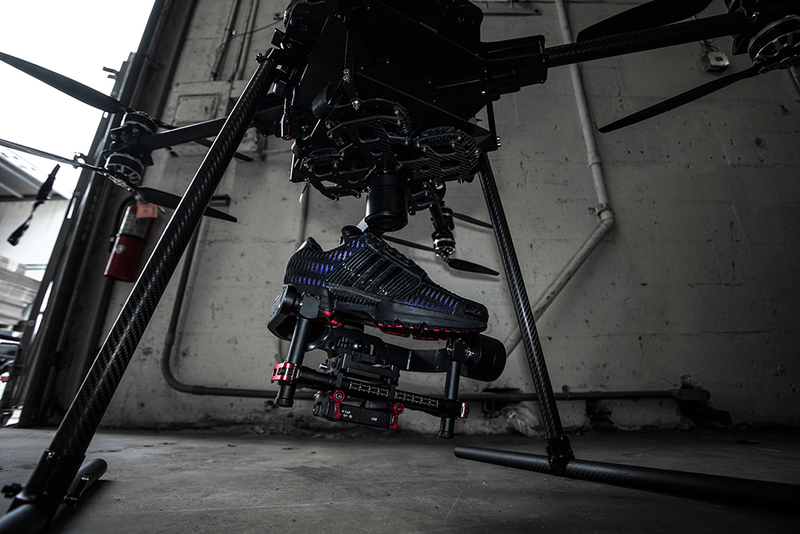 Shoe Gallery partners with adidas to reinterpret the classic Climacool 1 silhouette. Named ‘Flight 305’, the story begins on Ocean Drive, the long road which runs along the South Beach waterfront, lined with the city’s now iconic art deco buildings. Painted in a variety of pastel shades, by day, these buildings change by nightfall – under the illumination of multicoloured neon signs – colours begin to warp and blend into one another. 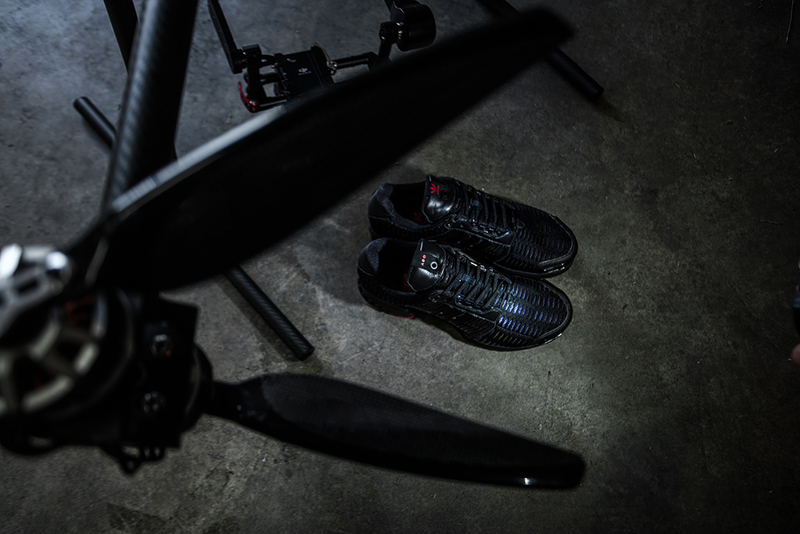 These buildings serve as the inspiration behind the silhouette’s dynamic aesthetic, as it flaunts a stealthy black makeover, but in light, and with movement, the shoes’ striking effect is revealed. 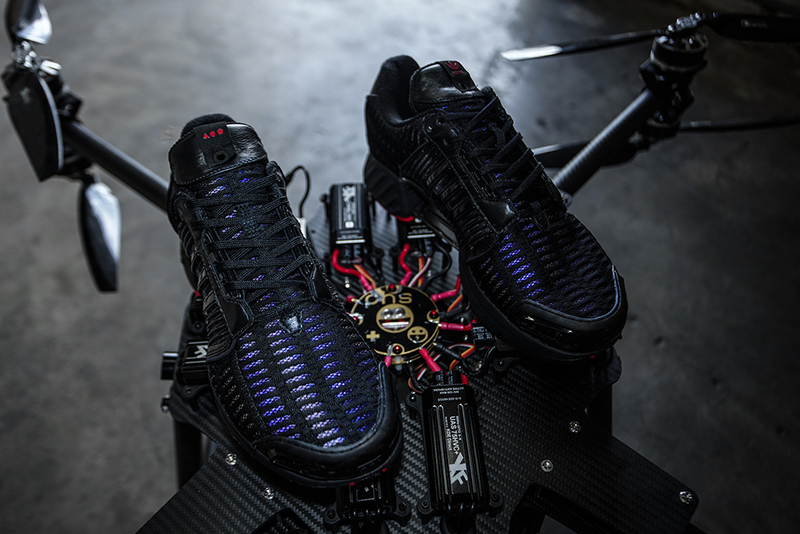 Beneath the dark outer mesh lies a XENO film membrane that mimics the multi coloured shimmer of snakeskin. 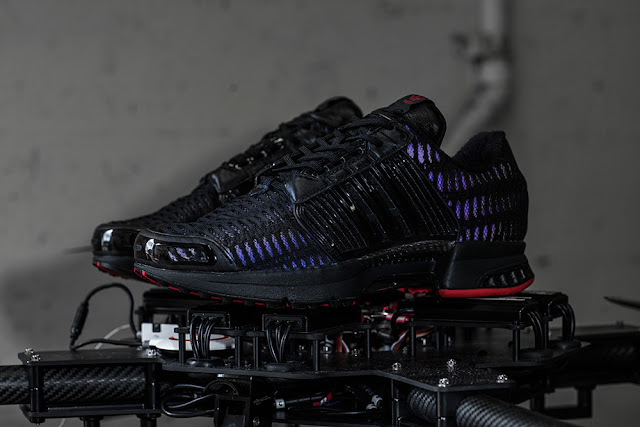 The Shoe Gallery x adidas Consortium Climacool 1 Flight 305 drops on Saturday, 7 January 2017, at selected retailers.